The gig economy is booming now more than ever as millennials entering the workforce seek to escape traditional roles and the restrictions that come along with them. In turn, these more traditional job roles – accounting, for example – are seeing drastic downward trends. But could this be a good thing? I mean, does anyone really like being stuck at a desk from 9 to 5 everyday Monday through Friday anyways? Let’s take a closer look at some of the pros and cons associated with the blending of traditional roles such as accounting and the gig economy. What Is ‘The Gig Economy”? First, we’ll need a better understanding of what this so-called “gig-economy” even is. In regards to the gig economy, a “gig” refers to one-time jobs that individuals pick up. These can be on a casual basis – one job here, one job there – or can sometimes come with a temporary contract, for a predetermined amount of time or number of jobs. Essentially, it is the job economy created by freelancers, independent workers, and contractors – in any field. Why is the Gig Economy Booming? Millennials are over and done with being stuck at a desk for 40 hours per week. We want to travel, we want to have experiences rather than things, we want to spend time with our friends and families, and we want to make the most out of life – and we don’t think that cubicles are the way to do that. Cubicles are not going to make us happy and we are realizing that we can put our happiness first. 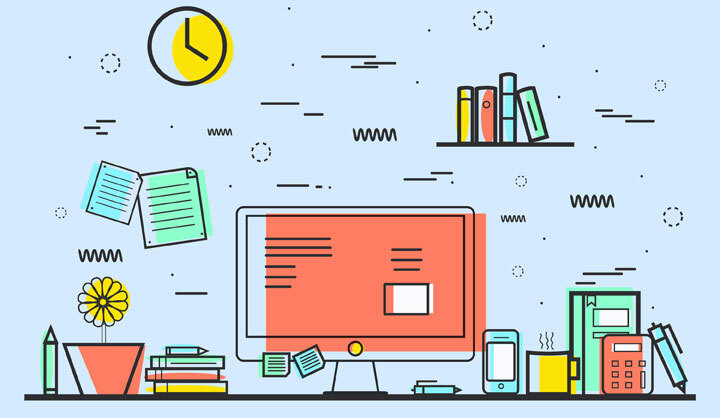 As this change in mindset becomes the norm, traditional desk jobs are becoming less and less desirable – and with today’s technologies, the alternatives are, quite easily, within our reach. The world has, undoubtedly and whole-heartedly, entered the digital age. That doesn’t come as a surprise to any of you, though. It’s evident. Everyone and their dog have the latest smartphone, tablet, and laptop on the market and every corner of the world is connected through the Wi-Fi, cellular data, satellite, you name it. All of these technologies allow us to do (almost) anything from, essentially, anywhere. This increasing global connectivity is really what is making the gig economy possible in the first place. Combine that with the increasing desire for more flexible and customizable careers, and it’s no surprise we’re seeing such a growing interest in the idea. As more and more people realize that such a liberal type of job structure is possible, more and more people are saying sayonara to their cells (ahem – cubicles). 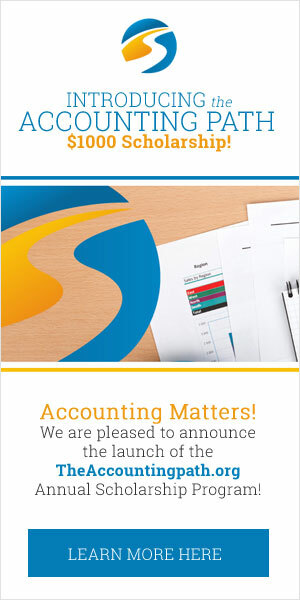 Can This Benefit The Accounting Industry? The economy moving in this direction is certainly beneficial to us working class citizens – giving us more opportunity and more flexibility than ever before – but can it offer similar benefits to the employers in more traditional job markets, such as accounting? Let’s take a look at some of the positive impacts that the trend towards digitalized, location independent, and temporary work can have on the accounting industry, and really any job market in general. If accounting firms, and other office-job companies, begin to embrace the “gig economy” and hire individuals who work remotely (“digital nomads”), they won’t need as much physical office space as they would if every job was being done in person. Commercial real estate is not cheap, and being able to cut down the amount of “in-office” staff you have, meaning you can cut down on office space, can open room in your budget to allocate to other aspects of the business. Think about it – all of a sudden you can choose from potential employees all over the world rather than just those within the vicinity of your office. More options means you can be picky. You can find the most qualified, experienced, talented, unique, etc. etc. etc. person for the job. And think about the networking benefits that hiring digital-workers based in other geographic locations could provide! Perhaps you already have the perfect person for the job but, much to your dismay, they are retiring soon. They want to move somewhere warmer – who doesn’t – and are getting ready to say goodbye to the job that is tying them down. But what if their job wasn’t tying them down? If you offered the option to work remotely, you may be able to keep these coveted employees – at least part-time anyways – even if they move thousands of miles away to spend the rest of their days on the beach. If I had the opportunity to still earn a living while enjoying the comfort of a beach chair, the sun, and the sound of the waves, I would take it! Have you ever had one specific project going that requires a certain technical skill or area of expertise that non of your current employees hold, but are hesitant to hire someone because you won’t necessarily have a need for them once the project is over? Cue the gig economy – so many freelancers and independent workers are looking for temporary “gigs” that it would be easy for you to find someone with just the skills you are looking for who is interested in helping with that one project and then moving on. As with anything, there is bound to be a balance of both pros and cons to consider – nothing is perfect! One of the most prominent negative impacts that the gig economy has had on the accounting industry – and other more traditional industries we are sure – is that millennials are choosing different paths for their post-secondary educations, or forgoing university altogether, because they aren’t interested in office jobs. This means there are a lot fewer qualified individuals in the candidate pool for these industries. Employee shortages are not good for these companies, their clients, or the industry as a whole. The more accounting firms that begin transitioning to a more dynamic and flexible workplace – such as offering remote positions, flexible schedules, etc. – the more millennials will consider accounting as a potential career. Accounting, especially if it satisfies your vision of what you want your work-life balance to look like, can be an extremely rewarding career with plenty of room for advancement and unique opportunities. Of course, the gig economy is still fresh – it will take time to really determine the benefits and consequences associated with it. Do you think the gig economy is the future? Or are you a fan of the more traditional work setting?